CG PET Exam Pattern 2019 contains details about type of questions, marking scheme, etc. 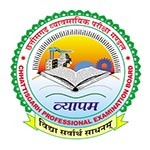 The CG PET (Chhattisgarh Pre Engineering Test) is also known as Chattisgarh PET organized by the Chhattisgarh Professional Examination Board. It is a state level exam conducted for providing admissions into undergraduate engineering dairy technology, agriculture technology courses provided by different colleges & institutions in Chhattisgarh state. Here students can check details about CG PET 2019 Exam Pattern. CG PET 2019 Admit Card will be released from 26th April 2019. Candidates can get their admit card through online mode on the website. Candidates have to enter their registration ID to download the admit card. Courses: Through this examination, students will get admission in B.Tech courses. Exam Duration: The total exam duration will be 180 minutes (Three hours). Subjects: The questions will be asked from Physics, Chemistry and Mathematics subjects. Syllabus: The syllabus will be similar to the syllabus of the higher secondary examination. No. of Question: Total 150 questions will be asked in this exam (50 questions from each subject). It is necessary to attempt all the questions in this exam. Type of Question: The question paper will have objective type questions (multiple choice questions). Optional answers will be provided for each question. Candidates are required to choose the correct answer only. Marking Scheme: One mark will be given for each correct response. Before preparing for the examination, candidates should gather all the information related to officially prescribed syllabus. The syllabus of CG PET 2019 examination contain various subjects such as Physics, Chemistry and Mathematics. The syllabus is same as per the higher secondary examination (12th class). If you have any other queries regarding CG PET Exam Pattern 2019, you can leave your queries below in the comment box. There was no negative marking!!!! But in your link it is mentioned it will be there ???? one mark will be alloted then in negative WHAT???? मेरा प्रश्न यह है की cgpet के लिए ब्लू प्रिंट आता है क्या ? Cg pet ki book aati h….market me available hai…ya fir 11 and 12 ki book se bhi aap taiyari kr sakte hai. yes, books are available. you can also prepare from your 12th books. what are the marking scheme?? is it necessar to attempt all question?? Please tell me about the marking scheme of Cgpet.1marks for one correct answer and what about the negative marking? One mark deducted for incorrect answer. 1 mark dedication for incorrect answer. This is not true.